While not dangerous, ingrown hairs are annoying and in some cases may even cause pain and discomfort. Wouldn’t it be great if you could make sure that you didn’t have to suffer from ingrown hairs anymore? Well, the following seven steps are guaranteed to help you prevent suffering from ingrown hairs. So, what makes these steps so effective? The key to preventing ingrown hair growth is to understand what causes ingrown hairs in the first place. When hair grows normally, it grows up and outward through small pores in the skin. In the case of ingrown hairs, the hair may grow back into the skin or be unable to break through the surface of the skin, forcing hair to grow sideways under the skin. Several things can block hair from breaking the surface of the skin with two common causes being dead skin and dirt. After reading this simple how-to guide, you will be able to live free of the annoyance and discomfort caused by ingrown hairs. Well, what are we waiting for? Let’s get started! Exfoliating your skin is crucial to removing dead skin cells that may be blocking pores and preventing hair from growing normally. There are many exfoliating scrubs on the market, so choose the one that feels best on your skin. One of the most common causes of dead skin cells blocking pores is having dry skin. Having moisturizer handy will help ensure that your skin does not dry out, reducing the risk of dead skin cells preventing normal hair growth. Apart from increasing the risk of cuts from the blade, a dry shave can damage hair follicles and increase the risk of ingrown hairs. Be sure to use shaving cream when shaving to reduce the risk of injury and/or ingrown hairs. Besides dead skin cells, dirt that gets on our skin can also clog our pores and prevent hair from growing out, trapping it beneath the skin. Using these ingredients, commonly found in acne medication, removes that dirt, allowing skin to breathe more easily and helping get rid of a major hindrance to hair growth, in turn working to prevent ingrown hair. For those single strands of ingrown hair, a pair of tweezers can come in handy. Just be sure that you sterilize the tweezers first and gently pull the hair above the surface, taking care not to yank or rip it out. Sometimes, a strand of hair may be too deep under the skin to reach with tweezers. In this case, you will need a sharp, sterilized needle to break through the skin and release the strand. When done carefully, pain will be minimal or non-existant. An epilator looks much like a razor, but instead of blades, it holds tweezers. The number of tweezers in an epilator depends on the model you purchase, with the time it takes for hair removal depending on the amount of tweezers. While it is not true that more tweezers will cause pain, models that have an increased amount of tweezers do sell for more. Heat helps expand the pores. This allows hair to grow out more easily, in addition to making it harder for dirt and dead skin cells to clog the pores. When using a warm washcloth, you will want to carefully rub the area in circular motions, coaxing out the ingrown hair and taking care not to cause damage to the hair follicle. When clothes fit too tightly, they press against the skin and may prevent hair from being able to grow up and outward as is normal. This in turn increases the risk of having ingrown hairs. It is therefore recommended to wear clothes with a looser fit, allowing your skin room to breathe and hair to grow normally. I’m not suggesting that you go out and buy baggy clothes and start sagging, but clothes that fit too tightly have been proven time and again to increase your risk of having ingrown hairs. For most of us, clothing is not optional – and what you wear can make a huge difference in whether or not you get ingrown hairs. 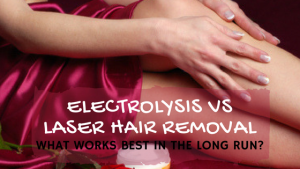 Therefore, the very first step in this guide of how to get rid of ingrown hairs is to toss out your tight fitting clothing and wear clothes with a looser fit instead. Tight-fitting clothes press against the skin, which means that hair sometimes does not have enough room to grow out. One of the most common causes of ingrown hair is when skin pores are blocked. By being sure to keep your skin clean regularly, you stand a much better chance of not having dirt or other particles block proper hair growth. When cleaning your skin, be sure to use a warm wet washcloth. The heat will help break open pores, allowing you to get to any current ingrown hairs and/or letting hair grow out properly. Far from being something just for the spa, exfoliation is something you should do every day. The main purpose of exfoliation is to remove dead skin. Dead skin, like dirt, is a common cause of ingrown hairs. In order to get the best results from exfoliating, use moisturizer right after. The reason for that is that while exfoliating your skin removes dead cells, the process of exfoliation itself can leave your skin dry. Being sure to moisturize will keep your skin looking and feeling healthy and rejuvenated. Two common ingredients in acne medicine are salicylic acid and benzoyl peroxide. How does acne medicine prevent ingrown hair? As it turns out, acne and ingrown hair have a common cause – skin pores being blocked by dirt or other particles. The two ingredients mentioned above work to get rid of this dirt and open up pores, allowing hair to grow up and outward in its normal fashion (while also helping you stay free from acne! Shaving properly goes a long way in both getting rid of ingrown hairs and preventing their reoccurrence. Before you shave, apply a warm wet washcloth to the area to be shaven. As mentioned earlier, this will help open up your pores. Next, apply shaving gel. Using a single-blade razor, carefully shave just above the surface of the skin, rinsing the blade after each stroke. When shaving the face, it is important to shave in the same direction that the hair is growing. If shaving your legs, you can go against the grain. Be sure to shave with as few strokes as possible and to change the blade frequently. One key how to prevent ingrown hairs is that after shaving, use cream such as shea butter or aftershave lotion. With many different epilators on the market, it is important that you shop around and do the necessary research before making a purchase decision. One of the first things to consider is price. While an overly expensive epilator is not necessary for efficient hair removal, going for the cheapest one on the market will probably not get the job done, proving true the adage “you get what you pay for.” Another thing to consider is how many tweezers the epilator contains. The less tweezers an epilator has, the longer the process will take. Another point to consider is that more tweezers does not translate into more pain, so if this has been a concern, don’t worry about it. One of the best accessories to get with an epilator is an exfoliating glove. As mentioned above, exfoliating your skin removes dead skin cells that could be potentially blocking your pores. Removing this threat will decrease your risk of having ingrown hairs. Should you opt to go for a single strand of ingrown hair, key to preventing further ingrown is to make sure that you are careful about how you get the hair out. Carefully grab the hair with a pair of tweezers (if the ingrown hair is too deep under the skin, use a sterilized needle to gently open up the skin and tease out the hair) and pull it above the skin. You will want to be careful not to yank it out roughly as doing so can damage the hair follicle. Carefully shave the hair (leaving a little stubble) or let it grow out. There you have it – seven very easy steps for getting rid of ingrown hairs and preventing further ingrown hair problems. 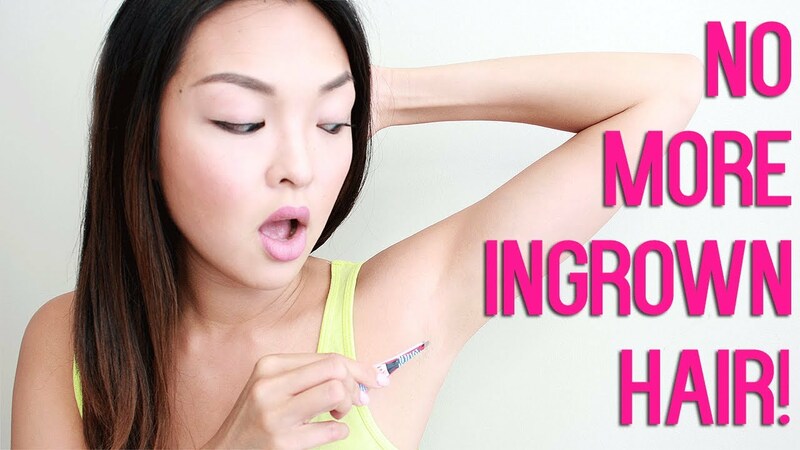 Now that you know how to stop ingrown hairs and have learned how to prevent ingrown hairs, you can live free from the annoyance caused by them. So, when treating and preventing ingrown hairs, remember to keep your skin clean, be careful about how you remove hair, and don’t let your skin dry out.